Wellington: Team India won the fifth ODI by 35 runs which was being played at Westpac Stadium here on Sunday. The guests set a target of 253 runs and the hosts were all out 217 with 5.9 overs remaining. Ambati Rayudu won Man of the Match and Mohammad Shami became Man of the Series. Team India interim skipper Rohit Sharma had won the toss today and elected to bat first. The Indian team scored 252 runs (all out in 49.5 overs). Rayudu (90) missed his fourth ODI century by ten runs but helped his team put up a decent score. Apart from Vijay Shankar (45), Kedar Jadhav (34) and Hardik Pandya (45) no one else in the team put up anything commendable. Indian had a phenomenal turnaround from having 18/4 in their batting innings to winning the game. Pandya’s exceptional performance after his ban helped India reach a respectable score. It is important to mention here his three 6s in an over which the fans loved. Indian batsmen found themselves in trouble against some quality swing bowling of Trent Boult and fast bowling of Matt Henry. Henry scalped 4 wickets and Boult took 3 wickets. In 4th ODI Boult had troubled the Indian batting lineup and this might be something the Team India needs to work on. Next, the home team came to bat, but the Kiwis too were seen to be struggling while facing the Indian bowlers. 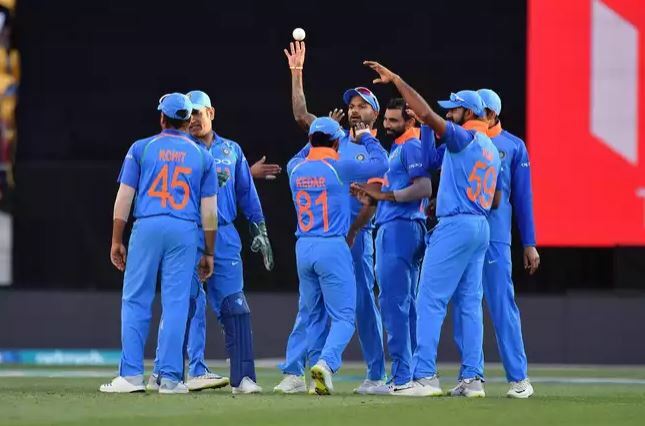 Yuzvendra Chahal took three wickets, while Hardik Pandya and Mohammad Shami took two wickets each. Kedar Jadhav and Bhuveneswar Kumar took one wicket each. For the Kiwis, James Neesham scored the highest of 44; but his run out by super-fast MS Dhoni was more memorable. Coming up is a T20 series in between the two teams starting from February 6.